If you're looking for a simple to use and reliable drive for everyday use, then look no further than SanDisk Cruzer. With high capacities, SanDisk Cruzer gives you plenty of room to copy, transfer and share your files, photos and video with your family and friends. 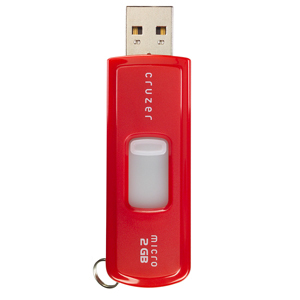 Click the button below to add the SanDisk Cruzer 4 GB Flash Drive Red to your wish list.